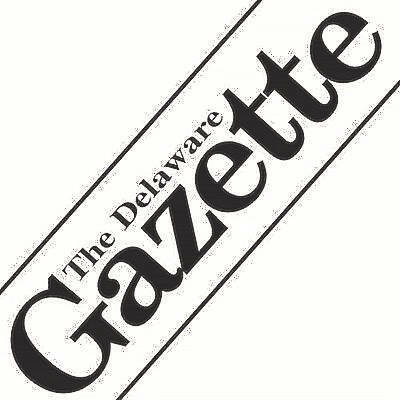 The times, heights and distances almost certainly won’t be the fastest, highest or furthest they’ll post this season — the cold, wind and rain made sure of that — but they were more than good enough for a win as the Buckeye Valley girls track and field team took top honors at Friday’s Diller Invitational in Delaware. The Barons, who collected 125 points to win the meet, were solid despite the conditions, doing most of their damage on the track. BV secured first- and second-place points in two different events: the 100-meter hurdles and 3,200-meter run. Nina Hilt and Caitlyn Nickell captured the top two spots in the 100 hurdles with respective times of 17.27 and 17.94 seconds. Chloe Dawson and Chayse Arnhold did the same in the 3,200, crossing the finish line in 12:46.21 and 13:06.95, respectively. Hilt also won the 300 hurdles in 55.56 seconds. Other top point producers included Baily Kreft, who won the 1,600 in 6:07.67; and the 4×800 relay team of Arnhold, Kreft, Dawson and Madelyn Zindars, who combined to win their event in 11:08.27. Delaware Christian was also in action, getting a couple wins from 2017 state placer Lyssi Snouffer. The sophomore took top honors in the high and long jumps with respective efforts of 5-04 and 15-03.50. Snouffer finished tied for third in the high jump at last year’s Division III state championship meet with an effort of 5-07. The Eagle girls finished eighth as a team with 31 points. In boys’ action, Buckeye Valley finished fourth. BV standouts included Zach Kreft, who won the 1,600 and 3,200 in respective times of 4:34.40; Charlie Daily, who nabbed runner-up honors in the 400 in 54.52 seconds; Bill Daily, who was second in the 800 in 2:07.69; and Ethan Goble, who finished second in the pole vault with an effort of 9-06. The Barons also finished second in the 4×100 relay as Anthony Hughes, Ben Daily, Charlie Daily and Duncan Faulk teamed up to finish in 47.29 seconds.